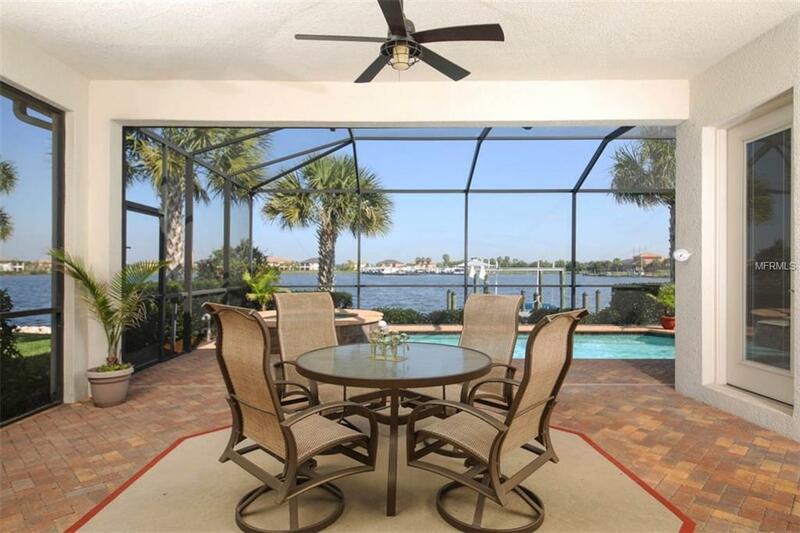 This waterfront home checks all your Florida lifestyle boxes: beautiful water view? Check! Boat dock and lift? Check! Pool and spa? Check! Fantastic location for commuting and boating? Check! Its all here in an efficient floor plan that lives large with open concept spaces seamlessly flowing to the spacious outdoor lanai. Featuring a luxurious master retreat separated from 2 guest bedrooms plus a den and/or dining room with French-doors, high ceilings with trays and crown molding, this home is professionally decorated and is ready to make a full-time or part-time owner very happy. Turn-key furnishings available for purchase separately. 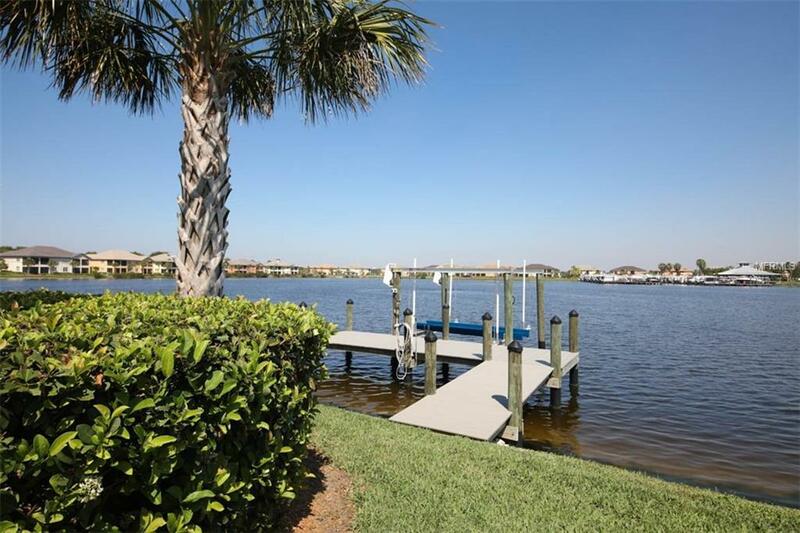 Move right into the premier boating community of Tidewater Preserve and start enjoying life on the Manatee River with access to the Gulf. 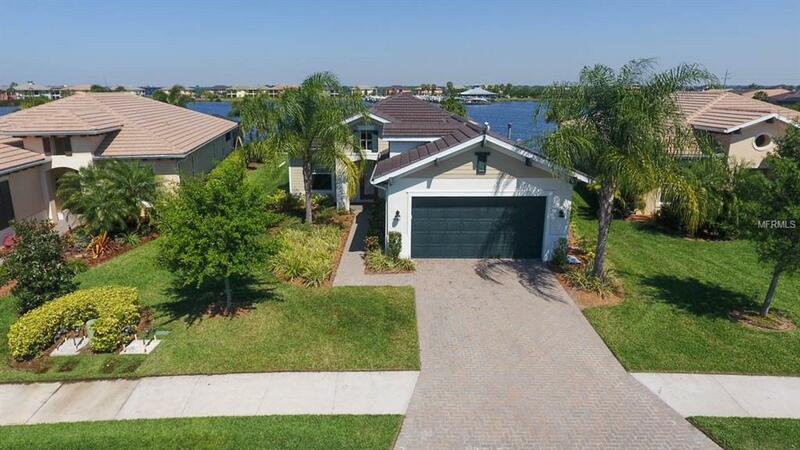 Modest HOA (no CDD) provide you with maintenance free grounds, 24/7 guard gated access, Har-Tru tennis courts, fitness center, 2 clubhouses, dog park, beach style entry pool, shell trail along the river, kayak launch and storage, HD cable and internet. 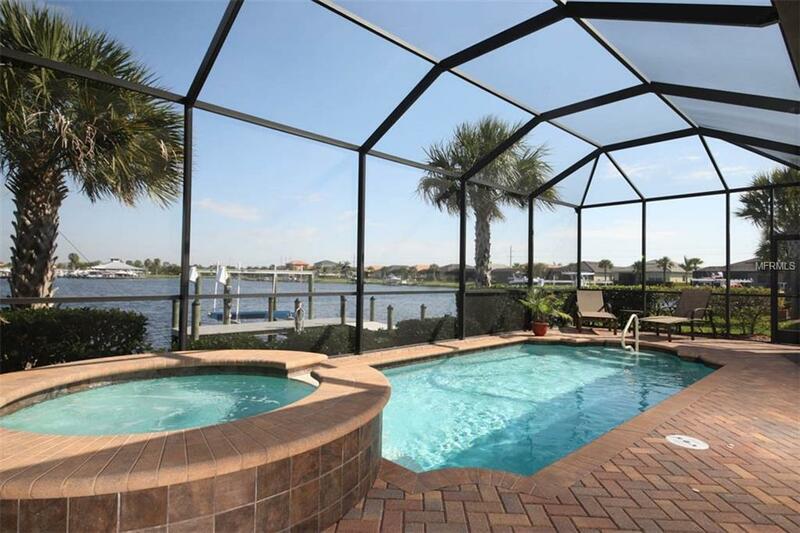 With a lifestyle director and many clubs and activities, as well as your own private oasis with relaxing views, you will fall in love with your new Tidewater Preserve home and lifestyle! Amenities Additional Fees Private Marina 1st Come 1st Serve For Slips. $9 Per Linear Foot Of Boat Per Month.